When international law firm Ince & Co moved from ICBC Tower in Central to one of Hong Kong’s newest and most prestigious and high-tech office towers, they looked to award-winning boutique design studio Spatial Concept to help them create a new work environment that would mirror the success of their recently completed office project in London. Drawing on their experience of designing award-winning projects throughout Asia, Europe and North America, Spatial Concept, founded in Hong Kong in 2012 by Gary Lai, introduced a series of new ideas and design features that would allow a smooth design process for the client’s new office at One Island East in Quarry Bay. In line with its philosophy of research, collaboration and originality, and the client’s request for a 100 per cent open plan contemporary space, Spatial Concept organised a series of design workshops to ascertain a deeper understanding of the client’s work behaviour and patterns. “Through client collaboration we are able to evolve the design and modify the design brief as needed, which creates something innovative and original. For us, each project is bespoke,” notes Lai, highlighting the wall to ceiling lines that help to define the space within the open reception and general office areas. 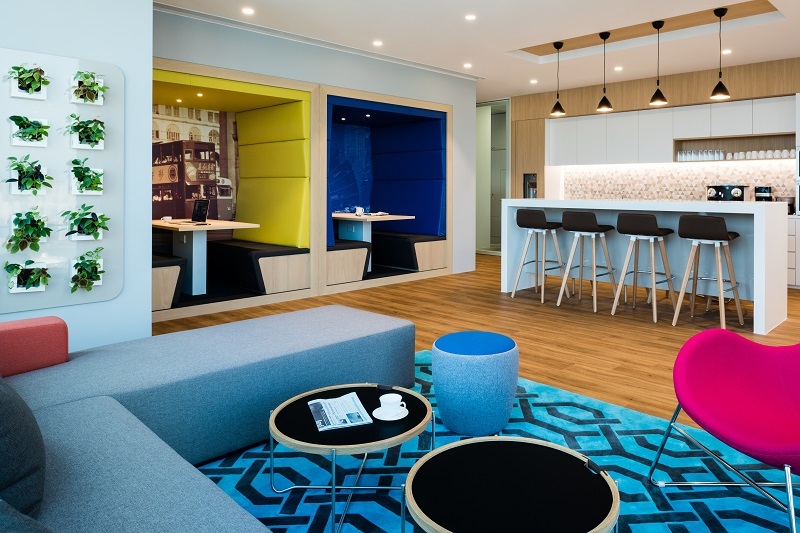 Varying colour palettes differentiate the various working zones, whilst in client areas, Spatial Concept’s use of neutral tones are combined with the trademark blue of Ince’s branding. 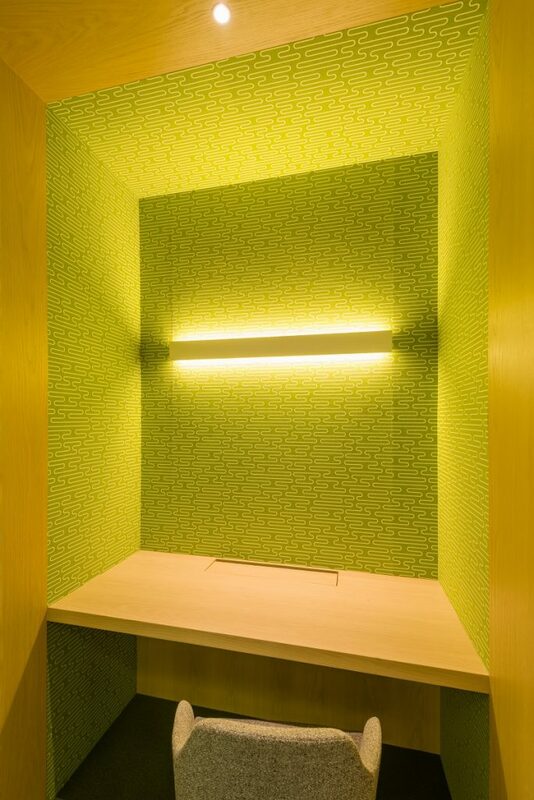 Contrasting single colours are used in internal meeting areas, the phone booth and semi-open collaboration booths whilst vibrant colours highlight the unique features of the bespoke-designed built-in furniture and library bookcases. Meanwhile, soft furnishing in the pantry area creates an informal and playful ‘relaxation zone’. Whilst the interior design and space planning carries clean lines and subtle details throughout the office, the efficient plan takes advantage of the natural daylight and impressive views to the reception area, conference rooms, staff breakout room and office areas. Meanwhile, the light wood flooring and white textured wall create a understated yet elegant reception area. To support the 100% open plan for the law firm, a good balance of meeting rooms, quiet rooms, focus corner, informal meeting booths and hot desks are strategically placed to for efficient functionality around the workplace. “Successful projects are the result of collaboration and a deep understanding of users’ needs. Spatial Concept engages clients in the design process through interaction and discussion. Our award-winning designs are not only functional but also innovative and strikingly aesthetic,” concludes Lai.